As speculated, OnLive has officially announced that it is set to launch its UK service on the 22nd of September at the Eurogamer Expo 2011 in London. It goes live with over 100 "top-tier" games available to try, rent or buy over a broadband internet connection. Games included are Deus Ex: Human Revolution, F.E.A.R. 3, Homefront, Duke Nukem Forever, Batman: Arkham Asylum, Red Faction: Armageddon, and many more. OnLive membership is free, along with free access to demos for all games, exclusive mass spectator features and voice chat during any live game in play on OnLive-whether in the UK or around the world. OnLive works with HDTVs, PCs, Macs, iPads and Android tablets. At the Eurogamer Expo 2011, which takes place between 22 - 25 September, OnLive will hand out thousands of free game systems that work on any HDTV. As OnLive likes to surprise their fans, i'm sure they'll also hold many other promotional giveaways. You will have the chance to preview many upcoming OnLive games and OnLive tech. "OnLive will utterly transform gaming in the UK," OnLive founder and CEO Steve Perlman said. "No discs, big downloads or specialised hardware needed. OnLive gives you the latest games instantly, anytime, anywhere on HDTV, PC, Mac, as well as iPad, Android tablets. High-performance gaming as accessible as streaming video, with unique social features such as massive spectating with voice chat and Facebook integration." OnLive has been out of beta testing in the United States for well over a year, and once it launches in the UK, the service will be fully integrated. This means that gamers in North America, and in the United Kingdom will be able to partake in multiplayer gaming, voice chat, spectating, and more with each other. Gamers will also have the ability to create short Brag Clips of their action, and post it to their Facebook profiles, or send it to their friends on the service. UK members have access to the OnLive PlayPack bundle. Subscribers to this package get unlimited access to a library of more than 80 games, including Homefront, F.E.A.R. 3, Borderlands, The Witcher and the original Deus Ex: Game of the Year Edition. OnLive is working with BT as its preferred broadband partner in the UK. 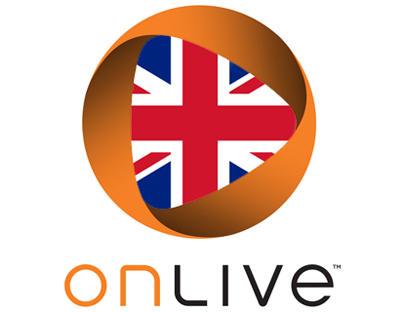 OnLive plans to expand to other European countries and other continents following the UK launch. If you're interested, you can sign up for free at onlive.co.uk, and get priority access on the launch date with almost any PC or Mac via a small browser download, a free app on the iPad or Android tablet, or on any HDTV via the OnLive Game System. SOURCES: Eurogamer, CVG and OnLiveFans. exclusive mass spectatorD3 Gold features and voice chat during any live game in play on OnLive-whether in the UK or Buy GW2 Goldaround the world.